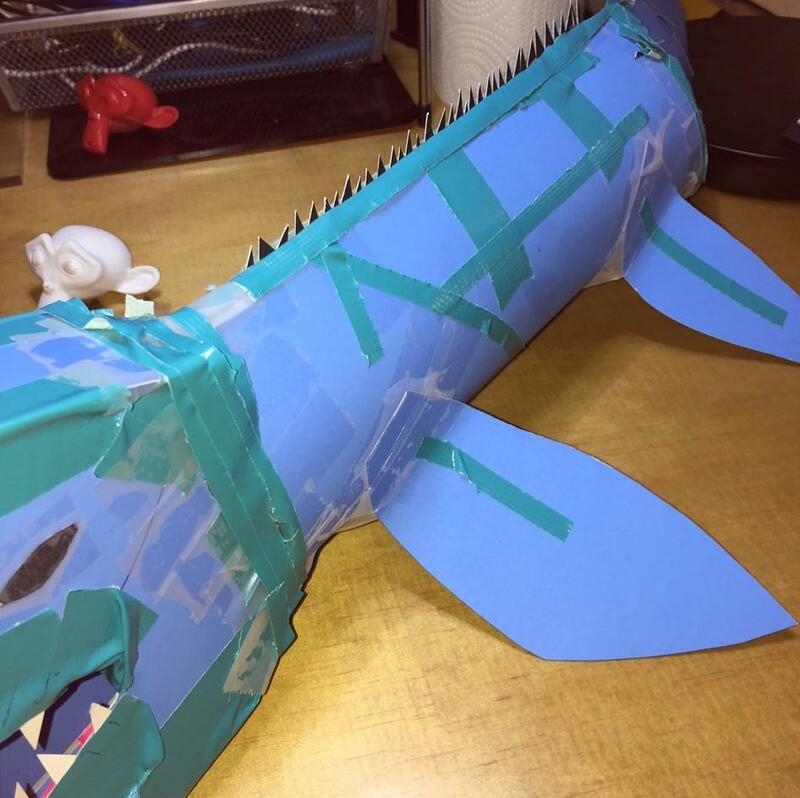 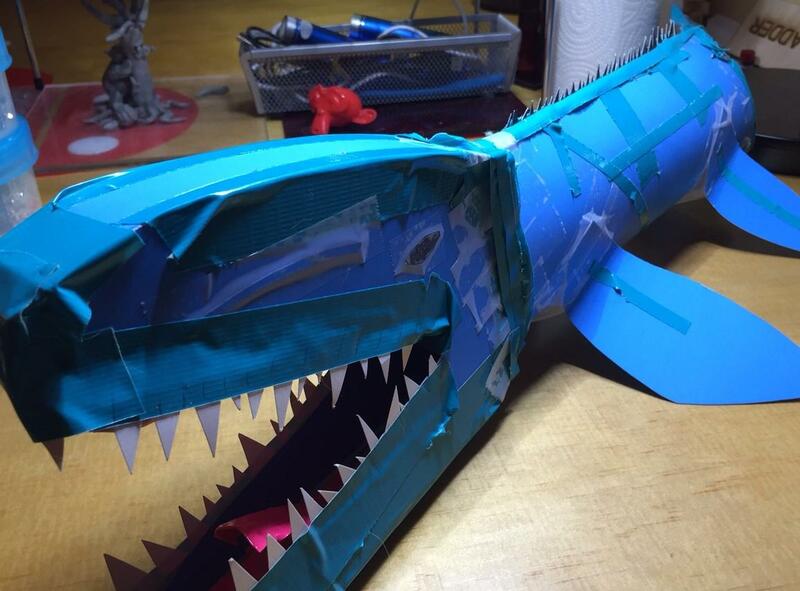 hello my name is Carson and I am 11 years old and made this mosasaurus using poster board and tape....enjoy! 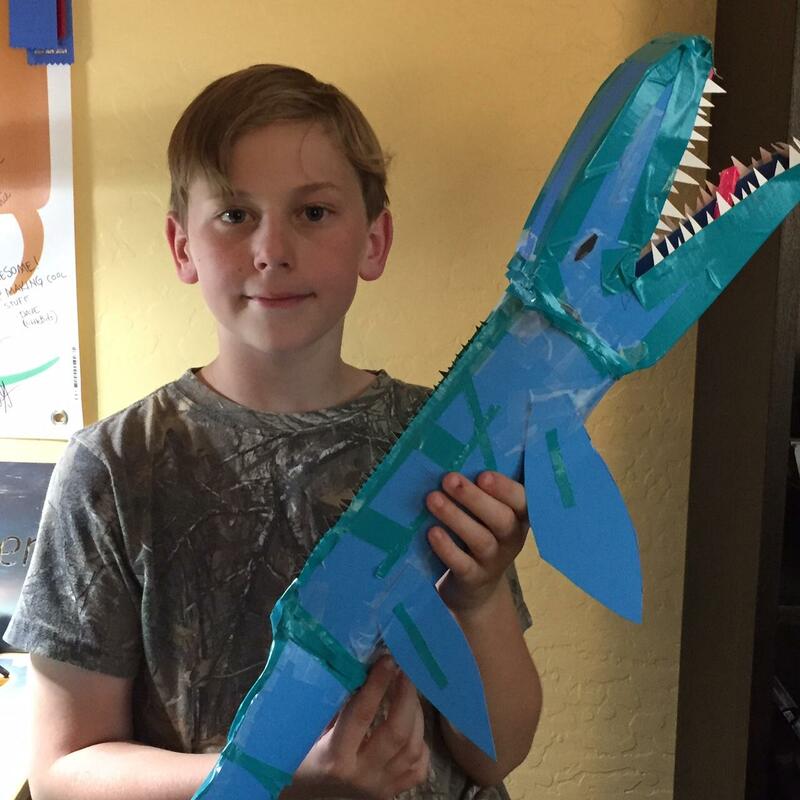 Nice work Carson! 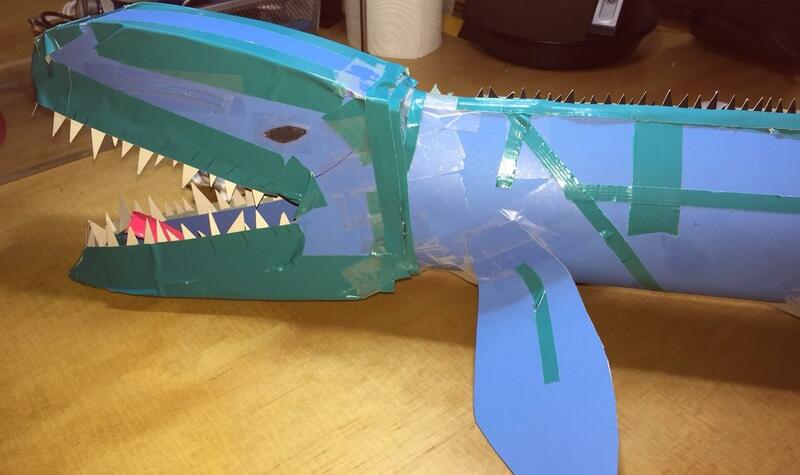 He looks ready to eat a great white shark.